Foundation Room Las Vegas sets itself apart as the Mandalay Bay’s most exclusive lounge. Part of the House of Blues, it’s accessible only by private elevator, and it can be tough to get into without the right connections. That’s where we come in! 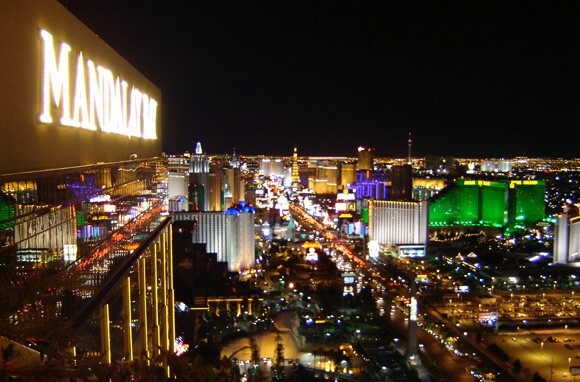 The club is located on the 43rd floor of Mandalay Bay and offers some of the most breathtaking views of the Las Vegas Strip. Foundation Room doesn’t just rely on the views to impress, however. This small, exclusive club is decorated with authentic artifacts from India and Tibet, lending itself a decidedly exotic ambiance. A fireplace is surrounded by comfortable, richly upholstered sofas, and expensive wood carvings the walls and tables. Featuring many small rooms including a banquet hall, several separate lounge areas, and a media screening room, Foundation Room Mandalay Bay is an ideal spot to host a private event. A luxuriant place to take in the Las Vegas night scene, we at Free Vegas Club Passes recommend you don’t miss this lounge on your visit. More details about the Foundation Room Vegas guestlist below. Check out our Events Calendar and see what’s happening at the Mandalay Bay Foundation Room!